Handling a small or medium business requires a lot of attention to detail. Starting with the website, it is important to promote your company as professional and reliable. 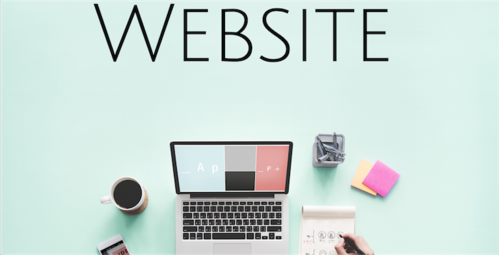 Before you start looking for a way to create your own website, it is important to understand its benefits and components. We live in the age where any search is made through Google, and that is why a good first impression is essential. From the initial search, potential customers begin to build their opinion on the company. If you project yourself as a professional it is very likely that you will be perceived that way, but if you do not do it you may be discarded immediately. Even if your business makes their top sales in its physical location, having a solid and efficient website can mean more revenue. Strolling in front of your favorite shops is no longer the only way to discover deals. Make sure not only to have a professional website, but to have a presence on the most visited search platforms (Google, Yahoo, etc.) Remember to include the company's physical address, telephone number, email, and social networks. There are tools like Google My Business that allow businesses to manage their online presence in Google, including searches and maps. By verifying and editing the information of your business you may help tell your story and allow more clients to find you. With a website you can connect with people from all over the world, diversifying and increasing your audience. However, having a poor website is worse than not having one. If you do not yet have the resources to do it efficiently, is best not do it at all, as we mentioned earlier the first impression is very important. A good design is important, but even more important is that it works as it is supposed to. Defining the functionalities of the website is important before starting to build it. Make a navigation map and share it with friends or other professionals to get feedback on its functionalities. A good design is not only beautiful but informative. The contact information is essential in any website, to this add images of excellent resolution and relevant content. Remember that no one better than you knows the strengths and weaknesses of your company, make the most of it. When developing a navigation strategy you should consider a call to action. What do you want users to do on your website? Purchases? Request estimates? To subscribe? Focus on keeping your goals clear. If the purpose of your website is to make purchases you have to make sure that the process is safe, both for your business and for customers. TrustE and GeoTrust are just some of the most popular options on the market to prevent identity theft. If your business has social media presence, promote it and connect to increase your cross-channel traffic. Encourage interaction with your brand on different online platforms with interesting and fun content. This is quite obvious, however, there are companies that still do not implement responsive mobile designs. In 2017 the largest number of visits to any online platform are made through mobile devices. Do not waste time and look for a design that can be adapted. A great website is of no use if you do not have reliable hosting. Find out what type of hosting services are right for your website. A slow website can affect your position on the most popular search platforms, so do not take chances. These processes take time, vision, strategy, design and content. If you do not have the time nor resources to implement these tips in the creation of your website, contact us for a free consultation. At Infopaginas we focus on maximizing the online growth of small and medium businesses in Puerto Rico. Take your business to the next level and keep an active presence on the web, you will notice great results.